It truly is horrendous when a piece of writing starts outstanding then finishes awful. I was gonna say it finished bad, didn’t you? Na, it was fantastic through and through. Well done! This is incredibly disturbing. I don’t even know what to say, except ‘thank you’ for talking about these issues. I’ve had CFS for 26 years and have encountered enough of these attitudes and lack of understanding to imagine how horrifying it would be to bear this burden in addition to your illness. It certainly is a disgusting disgrace! I am a retired Nurse injured badly in my job lifting over 8 yrs initially and a loss of ability to work F/T all this without hoist protection as a young nurse made to lift. Also falling down wet stairs all recorded..the DWP were informed back in 1985 by written statement by me and when I needed the documented evidence they had destroyed it 2008.. I now have cause to claim DLA /PIP and am going through the third degree.. I get NHS Injury Benefit as proof of an injury plus GP Notes….paid NHS Benefit at the lowest level because they too destroyed my MRI / X-rays all in the name of money..what hope when I have been betrayed like this ? I’m really sorry to hear how the DWP have treated you, though sadly, I’m not surprised, because the DWP seem to treat so many disability claimants so badly. I hope you’re able to tell your story to your MP: they need to hear stories like yours. Best Wishes. Hi iv been declined p.i.p even tho my drs know whats wrong with me im still at drs n hospital for my disabiliies.how bad are dwp.they want sort out the ones who are genuine not the scroungers who lie.im so gutted iv been through the mill and stil going through it all.im sick of drs n hospitals but i know theyr there for us why does goverment get us genuine ppl suffer more.sooo unfair.cant get fares back either. In South Africa the medical professionals are just starting to believe in the validity of Fm/ME! I don’t even want to go into all the disbelief I encountered along the way of my illness. But I do want to mention that the treatment I received from Christains was the worst to bear. When I was so ill that I couldn’t cook a meal for myself or my family, they were nowhere to be found. It was mostly believed to be an illness caused by demons! I was loved and liked only when I was healthy enough to serve in the countless ministries of our church! I was even told that I surely didn’t want to be known as the one who was always ill as if I had a choice in this matter. I even heard along the grape vine that I was a witch. Now, I know that not all of our Father’s children are like this, but I was amongst many of them when I was at my weakest. Not a nice place to be. I am just so grateful that my husband earns enough to meet our needs.I am just so grateful that our Pappa God enabled me through His grace to forgive for I also know they were not aware of what they were doing! Oh. My. Goodness. I can’t believe how you were treated by Christians! That’s really awful. I am glad that I have never had that kind of response from Christians. It’s so wounding to be labelled as a liar, let alone having demons!! Flip. It’s discouraging, too, how far behind most medical professionals are in realising the severity (and physical cause) of FM/ME. I keep praying. (And keep writing!) I hope one day it will change. Really interesting post and discussion. Thanks for allowing Ruth to have her say as well. Food for thought and prayer for me. I am concerned for the adults with learning disabilities I know from our church group. http://www.includedbygrace.wordpress.com – a giveaway week – ‘Making Church Accessible’ book. Have been through this myself, having to appeal, and feeling like a criminal. And was very upset by the Atos interview. I will have a review in July, knowing that I will have to go through all of this again. On my appeal notes I said that just because I made eye contact and carried out a conversation did not mean I was unable to do physical things for myself. It’s hard enough having to accept that you are not able to do things as you used to. YES, completely. I think when the system is set up to assume that all sick and disabled people must be liars, then it is an abusive system. I had NO IDEA – maybe I just have my head in the sand too much; but maybe there are others like me in this. Thank you for raising the problem, for sharing with so much vulnerability and reliving the horrendous way you were treated. Thank you for making me – and maybe others – aware of what is going on. This makes me SO glad I posted it – and I so nearly didn’t press publish! I think I forget that people don’t know the reality. I didn’t know what it was like when I naively filled in that form – I think there is an expectation that the system will be fair. Thank you so much for taking the time to understand. I really appreciate it. One of the problems has always been that even face to face examinations are totally inadequate when trying to assess how disabled someone with a fluctuating condition like ME/CFS is as we often look ok and can do some things as a one off but not consistently. My first DLA assessment a doctor came to the house and asked me to raise my arms and walk across the room and back both of which I could do on that day. I explained in detail how I was affected and that I couldn’t cook a meal or walk more than 25m most days but still got a letter telling me I wouldn’t get the benefit as they believed I could cook a meal and walk too far (ie. I was lying). I didn’t have the strength to appeal. The second time I got expert advice and help to fill in the form and got lower rate care and higher rate mobility even though I was less ill than the first time I applied. The whole thing is so stressful. You have to jump through so many hoops and have inside knowledge of the system and it has just got a lot harder. There cannot possibly be many people abusing the system as it is so hard to qualify for disability benefits even when you are genuinely disabled. It is a crazy, crazy system. I agree – I don’t think there can be anywhere like the numbers of people fiddling the system – and it shouldn’t be so heavily stacked against people who are already vulnerable and struggling. I think even politicians don’t understand the reality of how their legislation actually works. My partner saw our local MP (Tory) when I was appealing ESA decision. He was very surprised I was put in WRAG instead of Support Group, and said I was exactly the kind of person they were trying to support, yet even a letter from him in my support at tribunal was turned dow!! 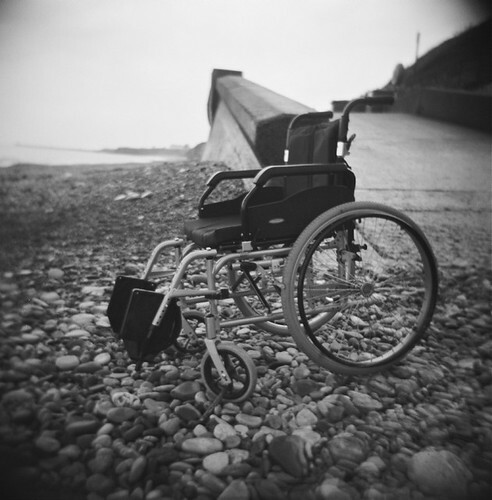 The whole process is a farce, but a dangerous and damaging one for many disabled people. I’m so sorry you lost out at tribunal though – it’s ridiculous and unfair. I know that you have a significant and debilitating illness. It is just not right.